Nitasha is pictured below with 2,701 book bags for Woodstock and Canton students with Give A Kid a Chance - Cherokee! 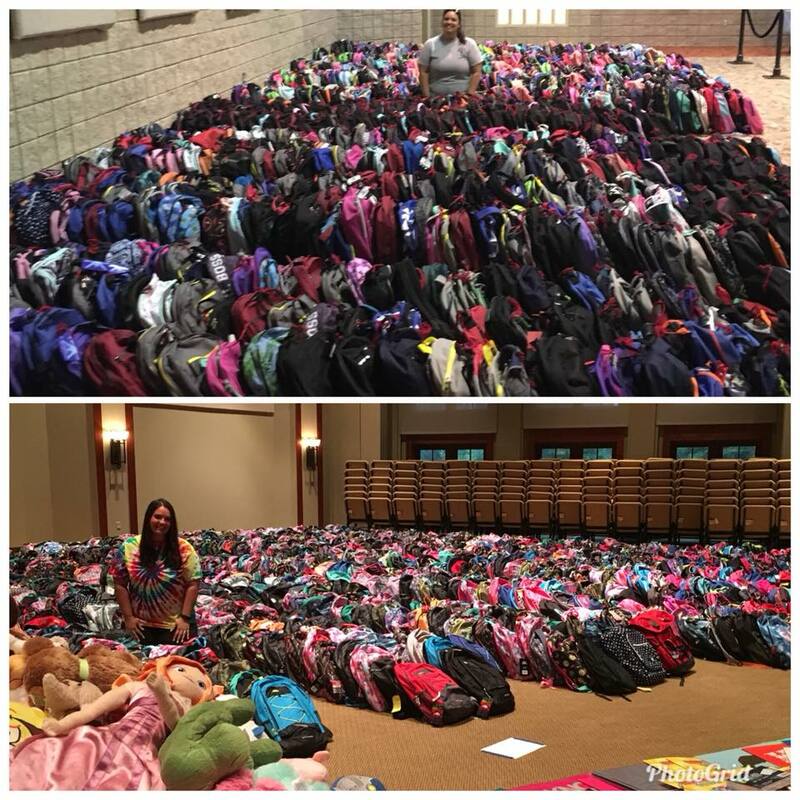 This 13 year old program helps Cherokee County students in need by providing backpacks filled with things that they need to be successful in the school year. This was Nitasha’s 3rd year as the backpack coordinator! Thank you Nitasha for helping our students in need! The top picture is Woodstock backpacks, and the bottom picture is canton backpacks.